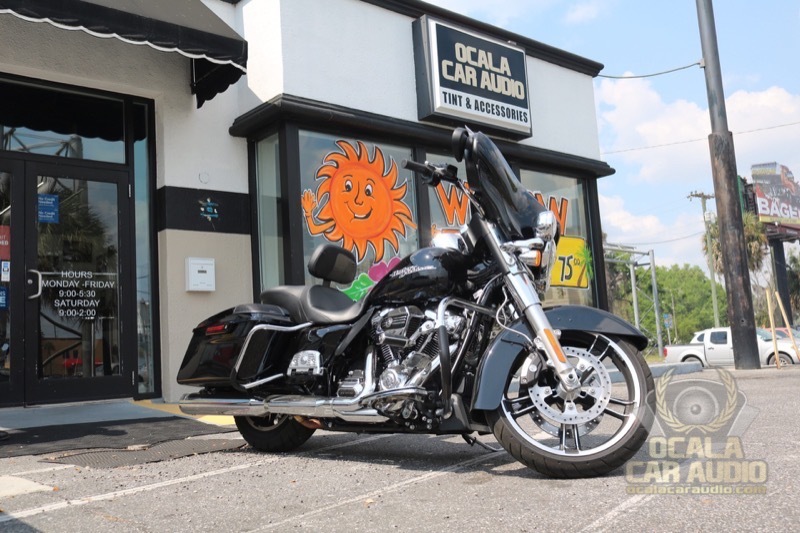 A client and member of a local law enforcement motorcycle club was referred to Ocala Car Audio for help in upgrading the audio system on his 2019 Harley-Davidson Street Glide. 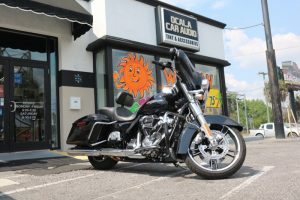 Before visiting us, the client spent almost $2,000 with the local Harley dealer on a Stage 2 Boom Audio system upgrade. He still wasn’t happy with the sound. 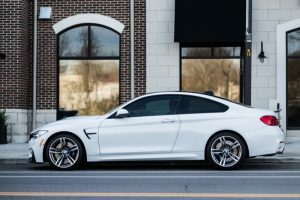 Some of his co-workers who are also clients of Ocala Car Audio suggested that we could help. After listening to the system on his bike, we suggested that a Rockford Fosgate amplifier and speaker upgrade would deliver the performance he wanted. The small Rockford amplifier packs plenty of power. 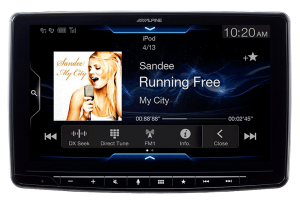 Our upgrade is based around the Harley-Davidson-specific Rockford Fosgate HD14-TKIT audio package. This kit includes a high-power amplifier, new front speakers, mounting brackets, wiring and new fairing grilles. Our team of motorcycle audio experts removed the fuel tank, seat and front fairing cover, then removed the Boom Audio upgrade package. The TMX400X4ad four-channel amplifier is rated to produce a healthy 100 watts per channel. We installed the mounting bracket on the amp, placed the amp above the radio, then ran the harnessing to the battery and the new 6.5-inch Rockford TMS65 front speakers and their grilles. The last step was to route the rear speaker wires through the bike for the planned saddlebag speaker upgrades. The bag lid modifications look and sound killer! The thin design of the Rockford speaker leaves plenty of storage space in the bag. Next, we installed the Rockford TMS69BL14 rear audio kit that includes a pair of TMS69 Power-Series 6×9-inch speakers, mounting brackets with grilles and a wiring harness. Unlike speaker upgrades that require new bag lids to be painted, the Rockford kit includes a template that we use to cut out a small section of the bag lid to install the provided grille. Instead of taking days to paint and install, we can modify the existing bag lids in a matter of hours. The new 6×9 speakers mount to the underside of the lids, and their shallow depth minimizes intrusion into the saddlebags. We flashed the Harley radio for better sound. 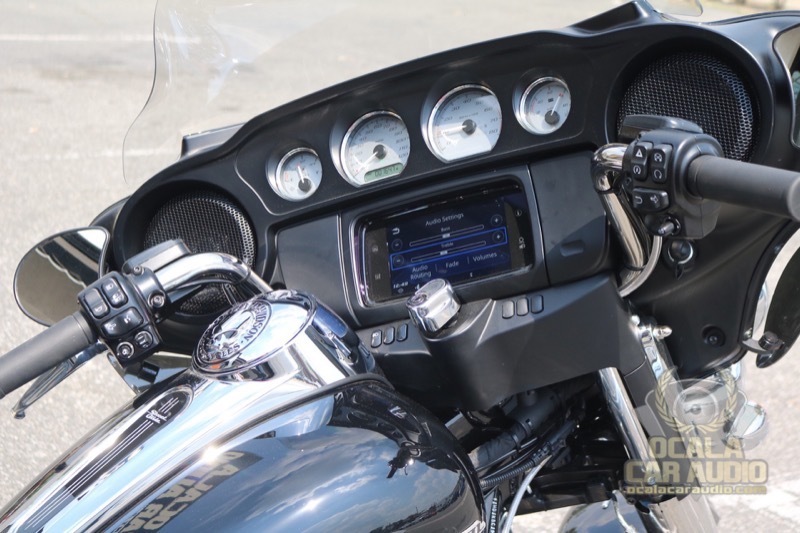 An important step in completing this installation was to reflash the factory Harley-Davidson radio to eliminate the factory equalization curve. 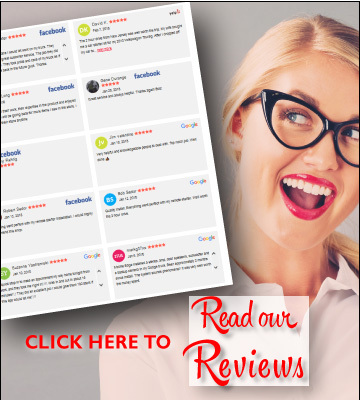 We used our programmer to complete the process quickly and efficiently. Not flashing the radio leaves the system sounding, well, terrible. 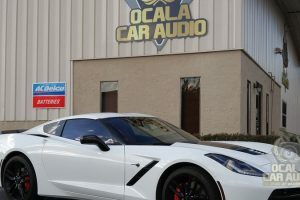 With the new gear installed and the amp configured, the client returned to Ocala Car Audio to pick up his bike. He was thrilled with the audio system we installed on his Harley and let us know that he was giving the Boom upgrade to his son, so it won’t go to waste. If your motorcycle audio system doesn’t sound the way you want, drop by our store or send us an e-mail using our contact page. We’d love to help!